This stylish high-efficiency stainless steel wall-mount chimney range hood featured with black glass and stainless steel front panel provides professional grade ventilation with its powerful 900 CFM internal blower motor. The front center electronic glass-touch panel with digital display controls the 4-speed blower and the two 2 W LED lights. Three sturdy reinforced micro mesh aluminum filters that efficiently remove grease and heated vapours from the air. Designed for 9' maximum ceiling height and standard ducted vertical exterior installation, the hood integrates a 6" circular exhaust duct connection. Turn your kitchen into the example of excellence with the Ancona Tornado Elite 30 glass canopy wall mount range hood. Made from the highest quality stainless steel and tempered glass, this delicate design provides functionality as well as elegance to your kitchen. Featuring easy-to-use 3-speed electronic touch controls with a convenient auto shut-off function, eco-friendly LED lights and baffle filters that reduce all odours, smoke and moisture. This Ancona range hood combines performance with style. Made from the high quality 430 stainless steel, the classic pyramid design of this range hood adds sophistication and performance to your home at an affordable price. The Ancona WPP430 range hood features easy-to-use 3-speed, eco-friendly LED lights and easy to clean filters. This range hood is guaranteed to make a statement in any kitchen. Made from the high quality 430 stainless steel, the classic pyramid design of this range hood adds sophistication and performance to your home at an affordable price. 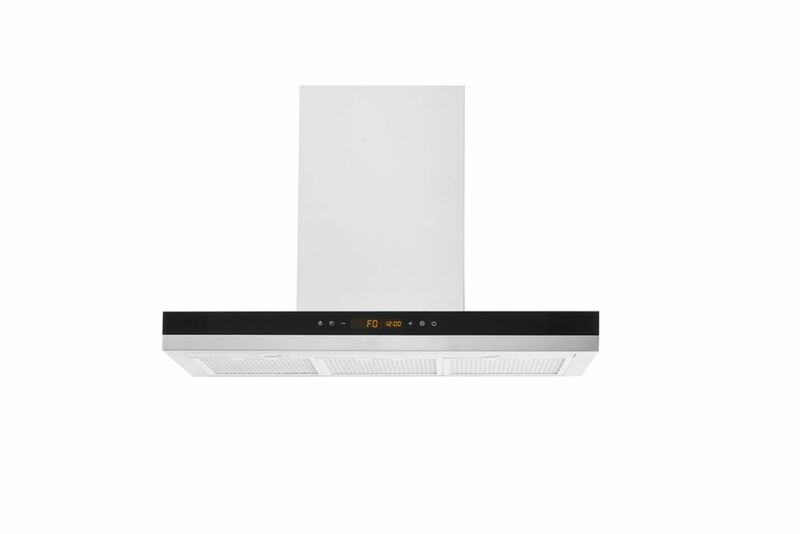 The Ancona WPPW430 range hood features easy-to-use 3-speed, eco-friendly LED lights and easy to clean filters. This range hood is guaranteed to make a statement in any kitchen. Wallmount Hood 30 inch - 900 Cfm -Mesh Filt - Texas This stylish high-efficiency stainless steel wall-mount chimney range hood featured with black glass and stainless steel front panel provides professional grade ventilation with its powerful 900 CFM internal blower motor. The front center electronic glass-touch panel with digital display controls the 4-speed blower and the two 2 W LED lights. Three sturdy reinforced micro mesh aluminum filters that efficiently remove grease and heated vapours from the air. Designed for 9' maximum ceiling height and standard ducted vertical exterior installation, the hood integrates a 6" circular exhaust duct connection.